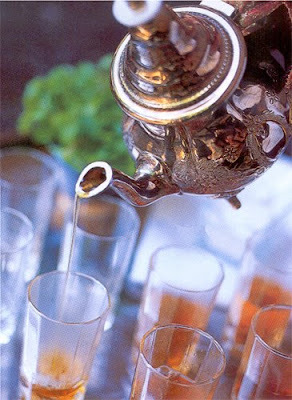 The Moroccan Tea looks wonderful....but food...your tummy must be very patient! I get low blood sugar troubles as I start to feel ill without regular meals....then the shakes...oh your day did not go as planned. All the anticipation of the food and the wine to be lost! Hopefully a date night tonight?